These are bios & photos to use for press & events featuring Emily Lupita – feel free to copy the photos & edit bios for length as needed. A full CV is available at the bottom of the page. Emily Lupita Plum-Güçlü is the creator & designer of Emily Lupita Studio, her online art shop where she sells lines of jewelry, fabric, greeting cards & limited edition artist prints from her Lupita watercolor & ink paintings. 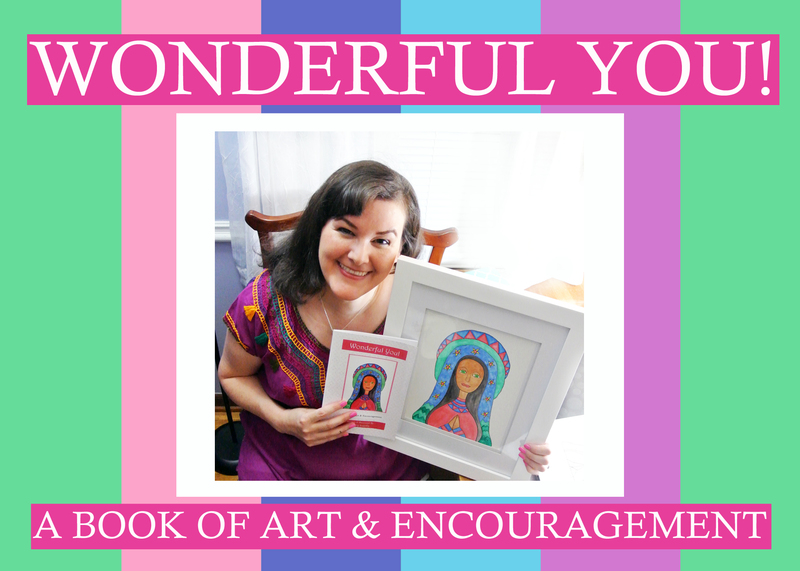 Her most recent book, The Artist’s Alphabet: 26 Words to Encourage Creativity, was published by her new press, Emily Lupita Studio Press, in 2013. Emily Lupita has been a life-long artist and began painting her trademark Lupita watercolor series while living in Japan, where she had her first solo art show at the prestigious N.A. Gallery. Since then, Emily Lupita has shown her Lupita Watercolors at many art shows in the United States including the Octagon Center for the Arts Community Artists Exhibit, the Waterloo Center for the Arts Juried Art Show, and the Quincy Center For the Arts Japanese Art Exhibition, among many others. Emily Lupita’s original paintings are currently on display at the MSAA Gallery and her art prints, cards, and jewelry are in The Local Exhange boutique, both located on the Historic Downtown Marietta Square in Marietta, GA. You can also find a collection of her work at The Nite Gallery located on the square in her hometown of Albia, Iowa. She writes a blog about life in her studio at www.emilylupitastudio.com. Emily Lupita Plum-Güçlü is an award-winning writer specializing in identity and place. Her first book of poems, Water and Stone, was published in a bilingual edition (Japanese/English) by Koumyakusya Press, 2004 with translations by Mitsue Niizaki. 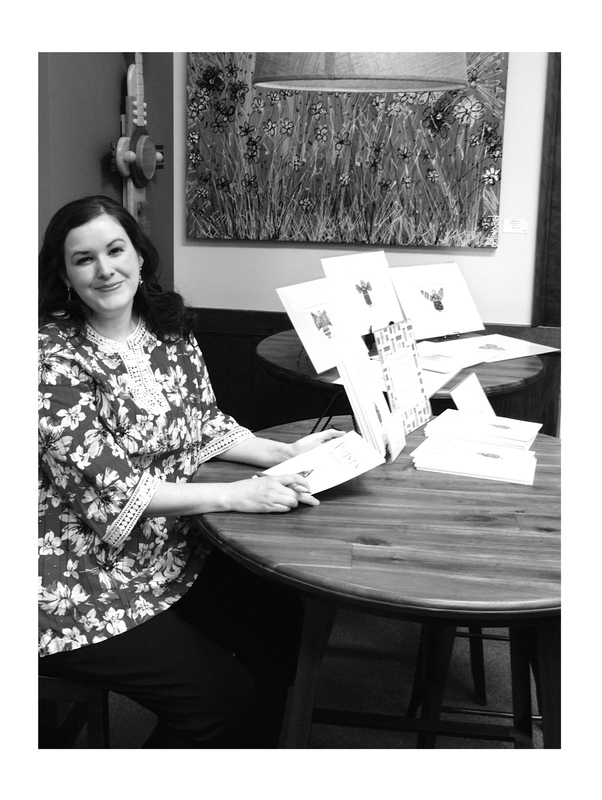 Her second book, The Artist’s Alphabet, was published by Emily Lupita Studio Press in 2013. Emily Lupita’s creative writing awards include the Faulkner Gold Medal for the Poem; the International Poetry Award from the Atlanta Review, the John Allen Writing Award from Central College; the Scratch Short Story Contest Award; the Lepke Endowed Graduate Award; the Pearl Hogrefe Recognition Award for Creative Writing; and a Research Excellence Award from the Graduate College of Iowa State University. Emily Lupita’s poems have appeared in publications including the North American Review, the Atlanta Review, the Chattahoochee Review, border crossing, The Double Dealer, International Poetry Review, Poetry International, the Portland Review, and in the award-winning anthology Poetic Voices Without Borders 2, among others. Emily Lupita received her MFA in Creative Writing and Environment from Iowa State University and BA from Central College. She is at work on her latest poetry book and a collection of essays. 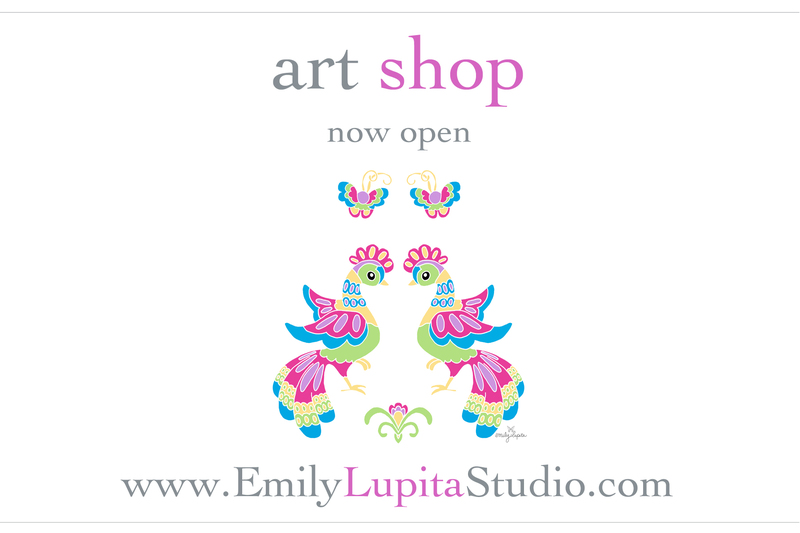 She writes a blog about life in her studio at www.emilylupitastudio.com. Emily Lupita Plum-Güçlü creates her unique glass beads in her studio using Italian glass rods and a lampwork hot head torch. She combines different colors of glass and uses a variety of techniques to design each bead individually in the flame. Emily Lupita then creates one-of-a-kind wearable art jewelry from her collection of handmade beads. She has shown her glass beads at many art shows including Art on the Pointe, the Octagon Center for the Arts Juried Art Festival, the Decatur Arts Festival, and the Conyers Cherry Blossom Arts Festival, among many others. She writes a blog about life in her studio at www.emilylupitastudio.com. Emily Lupita Plum-Güçlü currently teaches cultural diversity courses for the University of Phoenix, where she engages in a daily dialogue with her students about issues of ethnicity and race in society, both in a historical context and in connection to current national and global events. Previously, she’s taught World Literature, Beginning Spanish, and English as a Second Language classes for schools including Iowa State University, The University of New Orleans, Kennesaw State University, and for The Japan Exchange and Teaching Program. Emily Lupita grew up on a homestead in rural Iowa, but has since lived, worked, traveled & studied in over fifteen countries on five continents, accumulating more than seven years total spent abroad. Emily Lupita has extensive experience in the field of International Education. She has served as President of The Association for Academic Programs in Latin America and the Caribbean, was selected as a member of the prestigious NAFSA: Association of International Educators Academy, and has presented many papers at various national and international conferences on the topic of study abroad. Her professional experience includes administrative & teaching positions where she has coordinated a wide range of study abroad programs in over sixty different countries across diverse fields of study. She has also led students on multiple summer & spring break study abroad programs to Mexico, Ecuador, Turkey, and Spain. From 2001-2004, Emily Lupita was an Assistant Language Teacher on the Japan Exchange and Teaching Program, where she taught English as a Foreign Language at an academic high school in Miyakonojo, Miyazaki, Japan. While in Japan, she studied Shorei kan Goju ryu Okinawa Karate under Master Jukoh Hirakawa. She also studied Japanese art & culture with Distinguished Professor Mitsue Niizaki, with whom she wrote a bilingual poetry & art book, published by Koumyakusya Press in 2004. As an undergraduate, Emily Lupita studied on Central College Study Abroad Programs in Mexico, Spain and Wales. 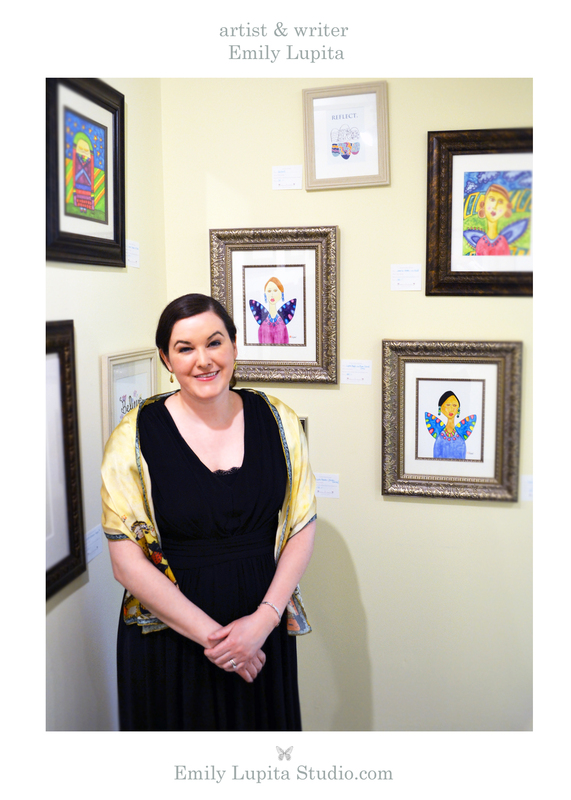 She now lives in the greater Atlanta area and writes a blog about life in her studio at www.emilylupitastudio.com.